Faber-Castell "Basic" modern fountain pen. 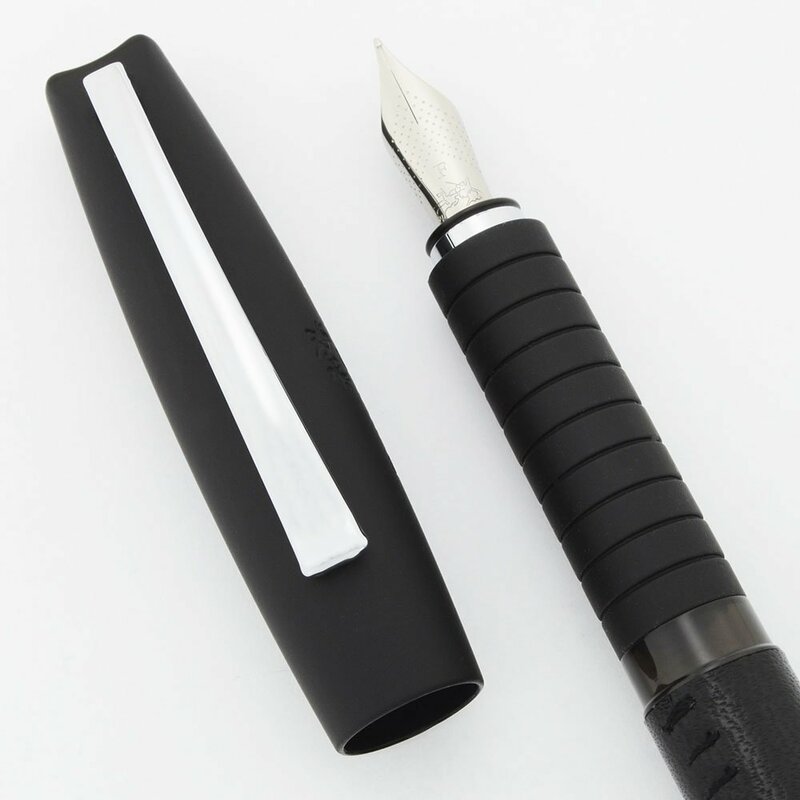 Cartridge/converter filler, black leather barrel with a dark rubber cap and grip area. Fine steel nib is smooth and firm. Mint condition, working very well with converter included. Type Modern cartridge/converter fountain pen, working perfectly. 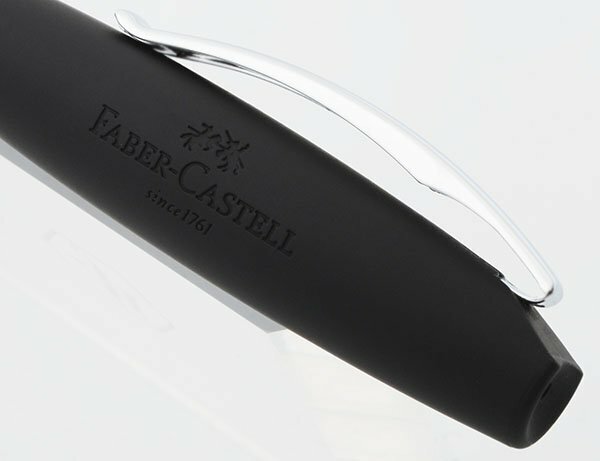 Manufacturer and Year Faber-Castell, Germany -- this is a current model, and this pen was probably made in the last few years. Filling System Takes international cartridges or converters. A converter is included. 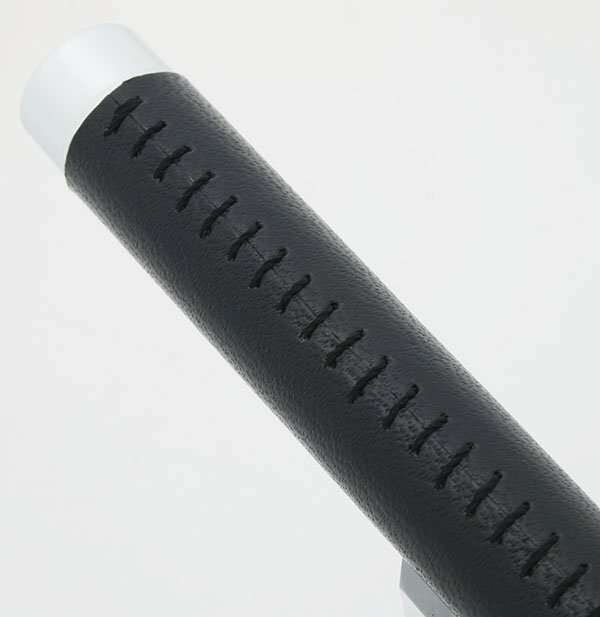 Color Black leather barrel with stitched seaming; black rubber section and cap. Chrome clip and end piece on barrel. Nib FINE steel nib marked with the Faber-Castell logo and an F. It's smooth and fairly firm with nice tipping material. Condition Mint condition with no cracks, chips, dings, dents, personalization, or plating wear. There are some tiny spots on the section probably from capping. All imprints are clear. 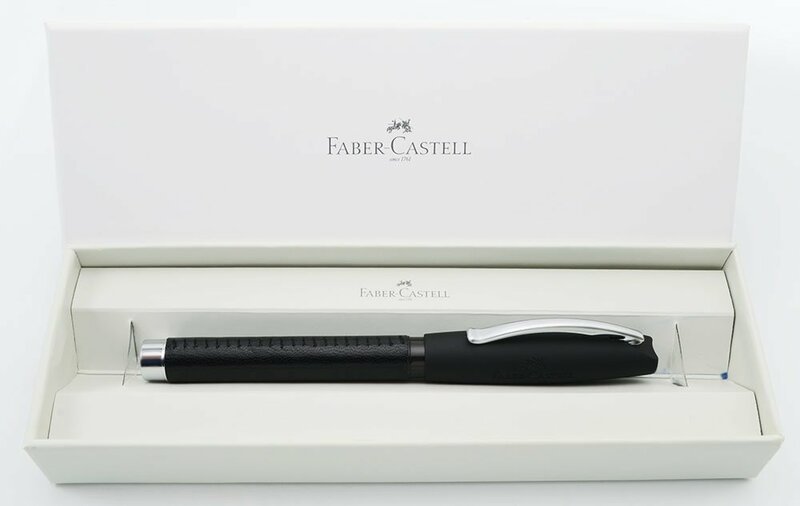 The pen comes in the original Faber Castell cardboard box with description label on the outside.